Not Dogs: London - Win Free Not Dogs for Life to celebrate Not Dogs Being at Lovebox Festival! London - Win Free Not Dogs for Life to celebrate Not Dogs Being at Lovebox Festival! 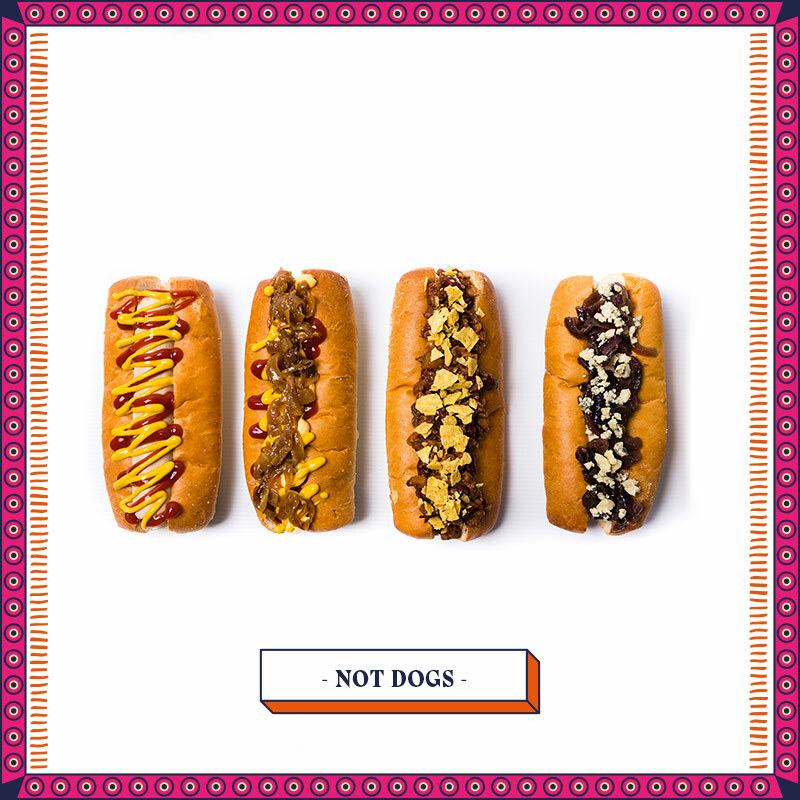 The competition closes at 6pm on Thursday 16th July 2015 and after that time we'll announce the lucky winners who can come and collect their exclusive Not Dogs for Life card at Lovebox Festival, Victoria Park! The London competition will run from Monday 13 July 2015 until 18.00 on Thursday 16 July 2015. 1 x winner from Instagram and 1 x winner from Twitter will be selected at random from all valid entries and will be announced on Thursday 16 July 2015. The decision is final and no correspondence will be entered into. Winners will be required to collect their Not Dogs for Life card from the Not Dogs food truck at Lovebox Festival, London. If this isn't possible, the cards will be sent out in the post (provided the winners have given correct postal addresses) in August 2015. Voucher must be used in conjunction with valid form of ID to claim a free Not Dog. The voucher will not be accepted if used by anyone other than the winner. The winner may claim one free Not Dog per day from Friday 17 July 2015 and for the rest of his/her life when claimed with a valid form of ID and approved by Not Dogs. 1 x Free Not Dogs for Life voucher will be sent by 31 August 2015 to each winner providing winners have sent their postal addresses to the team by 20 August 2015.